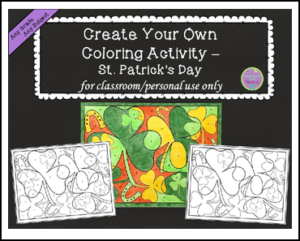 Coloring is great for students of all ages, and this activity will help you incorporate coloring into any subject area! All you’ll need to do is fill in your own 20 questions and answer choices, and you’ll be ready to go. This PowerPoint file allows you to type your questions and answer choices (into the editable pages), or you can hand write them if you choose (on the non-editable pages). Coloring directions are included so that you know which “color answers” are the correct ones for students’ results to match the colored key. This activity can also be found in the Spring Holiday Printables and Activities by the Tools for Teaching Teens Team. $ Saving Color by Number Bundle! 6th Grade Math Resource Bundle – resources for the entire year.